It is further evidence of a move towards ‘unbundling’ legal services to attract clients who want to undertake part of the case themselves, which last week Law Society president Lucy Scott-Moncrieff urged solicitors to explore. Lawyer-supported mediation (LSM) describes itself as “a growing network of senior family lawyers that believe dialogue comes first when trying to resolve child arrangements and finance”. 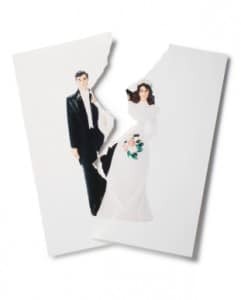 Divorcing people consult with one of LSM’s panel lawyers first before entering the mediation, with continuing advice from the lawyer during the process. A second meeting is held during the mediation and the lawyer will also check any agreement reached and draft any necessary agreements. It is all done on a fixed fee. If the process fails, the lawyer can continue acting for the client on their normal terms. LSM’s founder, mediator Marc Lopatin, told Legal Futures that the cost could be up to half what would be charged on hourly rates. LSM is also offering reduced rates to clients earning less than £3,000 gross a month and not eligible for legal aid. The model is being tested by a “mini panel” of three law firms within Greater London from next month and Mr Lopatin is inviting lawyers who will continue to offer legal aid family law services after 1 April to apply to join the network. 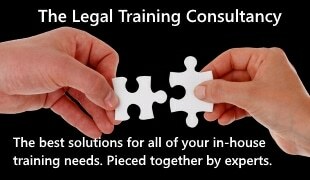 It is aimed at solicitors with more than 10 years’ experience in divorce. “We see it as an opportunity because there is a shift of incentive among legal aid lawyers, in that they know they have to change the way they work and if they want to attract private clients this could be one model that hopefully will appeal to them”, he said. Mr Lopatin, who is a former journalist and a non-practising mediator, said his panel firms had estimated the amount a client would pay solely instructing a lawyer on an hourly rate “to negotiate on a whole range of scenarios” and found there was “a compelling discount” in lawyer-supported mediation of around 50% for more complex cases and “slightly less” for less complex cases. Speaking at the Law Society’s legal aid conference last week, Ms Scott-Moncrieff said solicitors should look at offering clients advice on parts of case as well as traditional retainers. The “regulatory and insurance challenges” thrown up by unbundling were “not insurmountable”, she said. The society had approached the Solicitors Regulation Authority for clarification on the regulatory consequences. She also said Chancery Lane was “looking at the possibility of a pilot duty solicitor scheme in family courts. Last month, Bristol’s innovative Law Shop – which helps people navigate the law themselves with some legal assistance – was taken over following its owner’s retirement, while the American Bar Association said lawyers should offer ‘unbundled’ legal services to the public in order to improve access to the law, and also to compete with online document assembly services like Rocket Lawyer and LegalZoom. Unbundling is not new, and this is arguably not an example of it. I’ve nothing against the marketing of any service which is client-focused. But let’s not confuse Woody Mosten’s unbundled service innovation with something it is not.